The best place for injection thighs. Of course, the best option is to visit a hospital where professional you put the injection. However, athletes rarely use this service and prefer to do everything themselves. Today you will learn why can occur after injection pain and how to deal with it. Some drugs cause quite severe pain when administered. The reason for this may be in the oil that is used as a solvent. Today, however, the market of anabolic steroids has many species that are used in medicine. They are produced by famous companies who choose only high quality oils. Let us consider in detail the possible unpleasant moments that occur after the injections. We will also learn how to get rid of them quickly. • Reported infection or allergic reaction occurred. • The stuffing can be softened with gauze moistened with alcohol or magnesium. • The aloe juice can help to get rid of the problem, rubbing lump it. It is also possible to use Medications: Wisniewski ointment (excellent antiseptic and anti-inflammatory agent), heparin ointment (analgesic and anti-inflammatory agent), demeksida solution (suppresses inflammation and accelerates the removal of blood clots) Troxevasin (reduces swelling and suppresses the inflammatory process). To Appears damage of blood vessels. In this situation the blood falls below the skin and also pain appears blue. In the market you can find many medications that can effectively deal with this side effect, such as heparin ointment or something else. You can also use folk remedies, say, leaves of fresh cabbage or rye compress. This side effect is the most dangerous of all, we have reviewed to date. This is pus formation, which should begin to heal immediately after his appearance. Otherwise, there may be serious problems. Among the initial symptoms of the abscess were increase in body temperature, sweating, loss of appetite, poor appearance, as well as redness and pain at the injection site. To treat an abscess, you should seek professional help as self may worsen the situation. Many athletes simply ignore this side effect. But we do not recommend it. In the end, this may be a symptom of a more serious complication. It is possible to pass only numbness, but we recommend that you contact a specialist. In many ways, it looks like swelling and the same methods are used to treat it. An extremely dangerous phenomenon that speaks of the beginning of the processes of rot. As soon as you discover this side effect, you should immediately take a measure to treat it. In addition, a competent specialist can be assigned to a specialist and you should consult a doctor. Also, after injection, it is possible to get blood on the surface of the skin. This phenomenon may be accidental and occurs extremely rarely. At the same time, it may be due to the features of your body, for example, the blood vessels are located near the surface. When you put the needle, gently pull the plunger toward you. If blood appears in the syringe, you should inject it elsewhere as you have damaged the capillary. Allergic reactions can develop from a variety of medicines and you should make sure that it does not happen. At the clinic you can do research and find out if you are allergic to a drug. As a rule, when using steroids, allergic reactions to the oil used as a solvent may occur. How to avoid pain after injection? 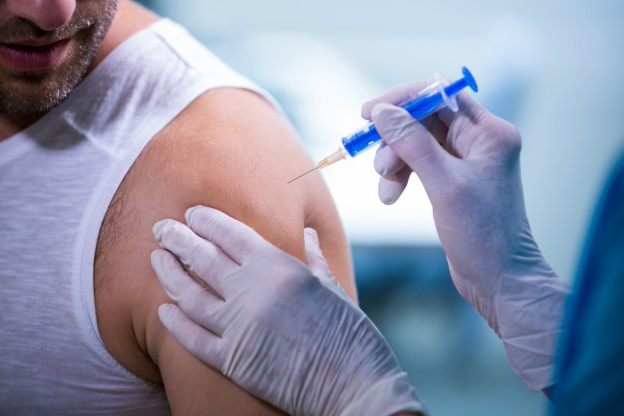 No athlete is protected from unpleasant post-injection sensations, as injections should be made frequently and as a rule on their own and not with the help of a medical professional. In this case, you can protect yourself from various effects if you follow the instructions for taking injections. • Only use high quality proven original products. What should I do if an occurs inflammation? However, it is not possible to avoid swelling and painful sensations, it is possible to alleviate the pain and reduce the inflammation process with the help of medical devices. Such drugs such as diclofenac sodium and ibuprofen or other more expensive anti-inflammatory drugs have good analgesic and anti-inflammatory effects. Both medicines can get rid of swelling and inflammation, relieve pain, be excellent analgesics. It is possible to use medicines in the form of tablets or in the form of an injection. You can also treat swelling after injections with special creams and ointments. The cream or ointment is placed on the injection site, thus affecting the focus of the inflammation. This can be the same diclofenac or ointments as Delobene, Alorom or Eucabalus. If home-based methods can not help you, you should definitely consult a doctor!